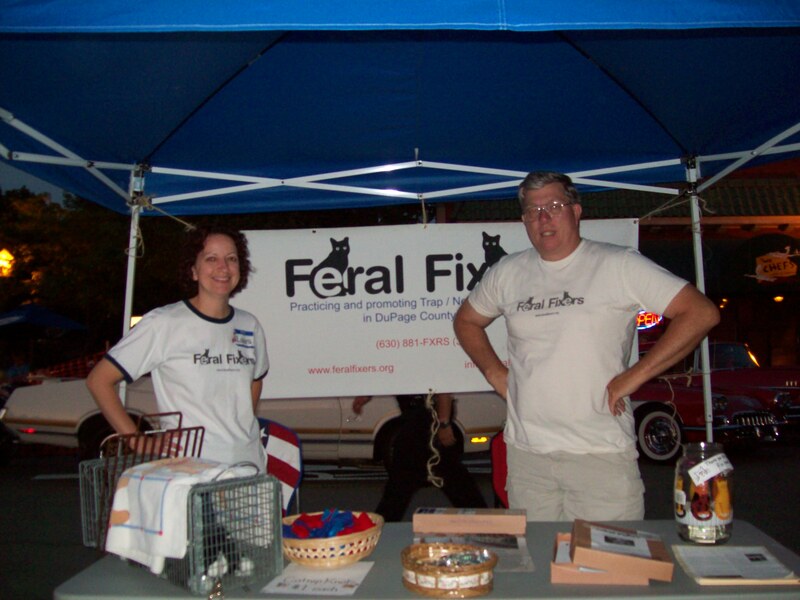 On Wednesday, August 5th, Feral Fixers super-volunteer Laura and I manned a booth at the Bensenville Music in the Park Festival. This festival is held by the City of Bensenville during the summer on Wednesday nights and is always a lot of fun. Lots of people come buy to talk about 'feral cats' or "their neighbor's feral cats" or "the feral cats that live down the street", etc. We pass out flyers and business cards and sometimes receive donations or are able to sell Tammy's Catnip Knots.